At the same time, as reported, Poles also came to the Ukrainian embassy, who expressed solidarity with Ukraine and the Ukrainian people. Ukraine has condemned an anti-Ukrainian rally held by a group of Polish ultranationalists outside the Ukrainian Embassy in Warsaw on Monday, where portraits were burned of Stepan Bandera and Roman Shukhevych, the two historical figures sparking controversy in bilateral relations. 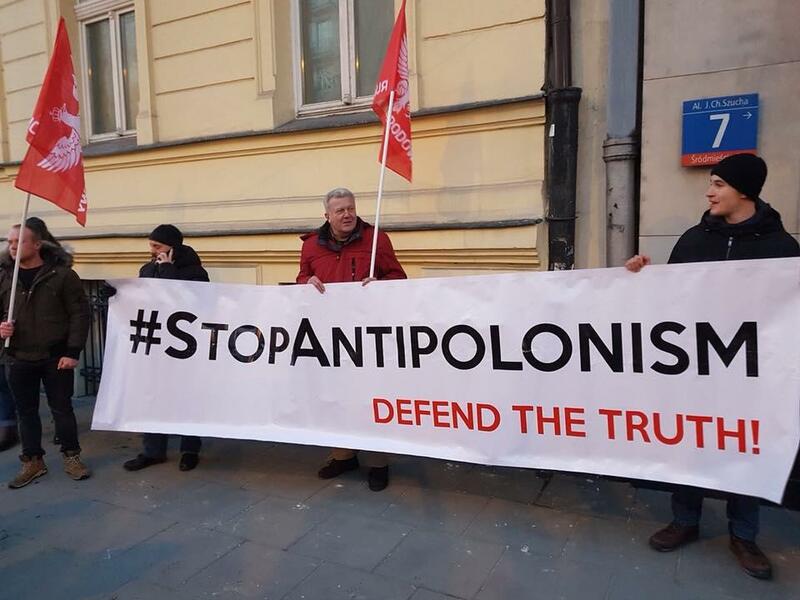 Protesters urged the Polish government to review its policy toward Ukraine, chanting slogans "Shame to Ukraine," "Shukhevych is a criminal", "Banderites are murderers", according to Europeiska Pravda. 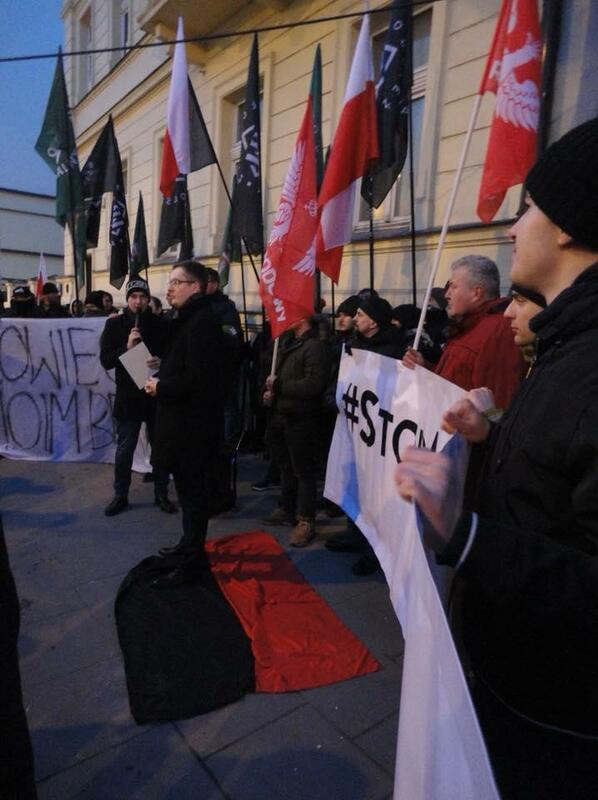 Ruch Narodowy, represented in the Polish Sejm by one deputy, was joined at the rally by the National Radical Camp and the All-Polish Youth organization. 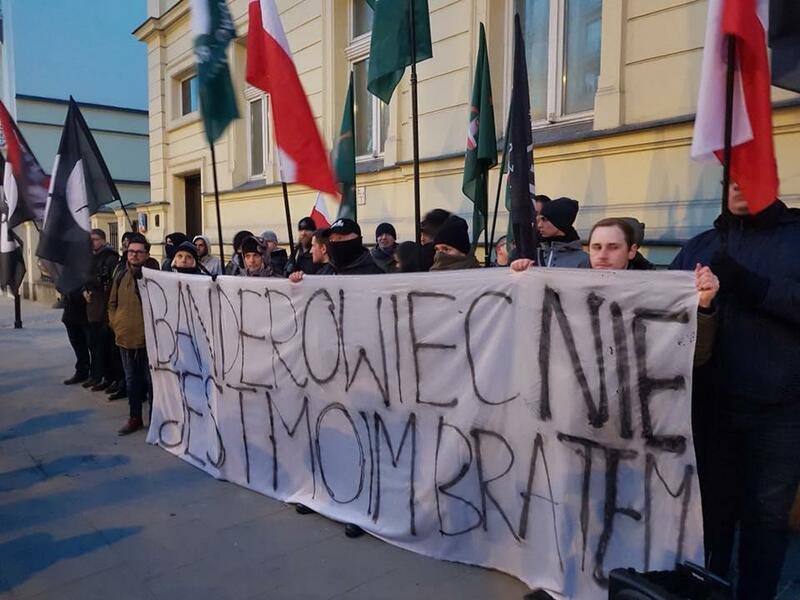 Read alsoUkraine - Poland: Let's remember Kaczynski's wisdomRN representative says the rally is a response to a recent nationalist march held in Lviv March 4 in the honor of Roman Shukevych, who RN says is "responsible for the genocide in Volyn". "Consciously or not, but with their actions and statements, they foment intolerance and act in Kremlin's interests. In its imperial policy, there is no place either for a free Ukraine, nor a free Poland, nor a democratic Europe," the Ukrainian embassy said in a statement. 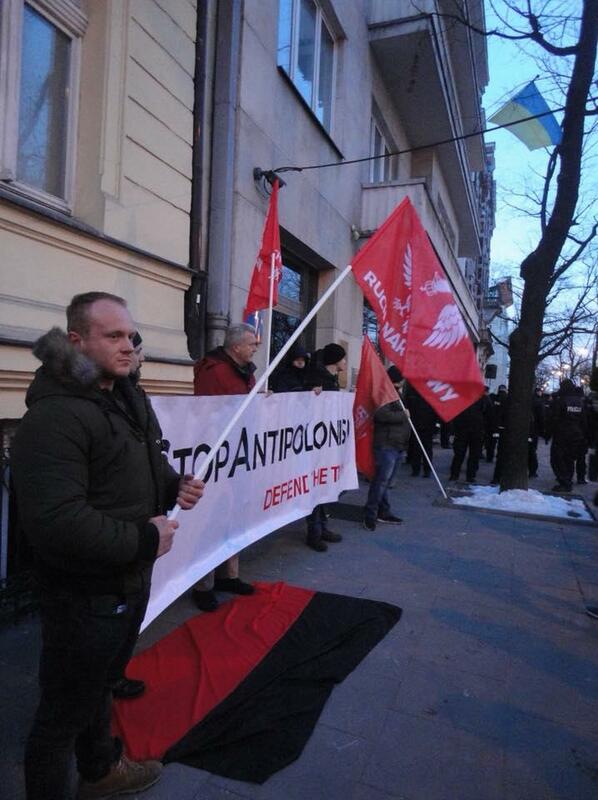 At the same time, as reported, Poles also came to the Ukrainian embassy, who expressed solidarity with Ukraine and the Ukrainian people under the slogan "For your and our dignity".